With pre-aligner therapy you can turn almost any orthodontic case into a clear aligner case. Previously complex aligner cases become moderate; moderate cases become routine; and routine cases become simple. 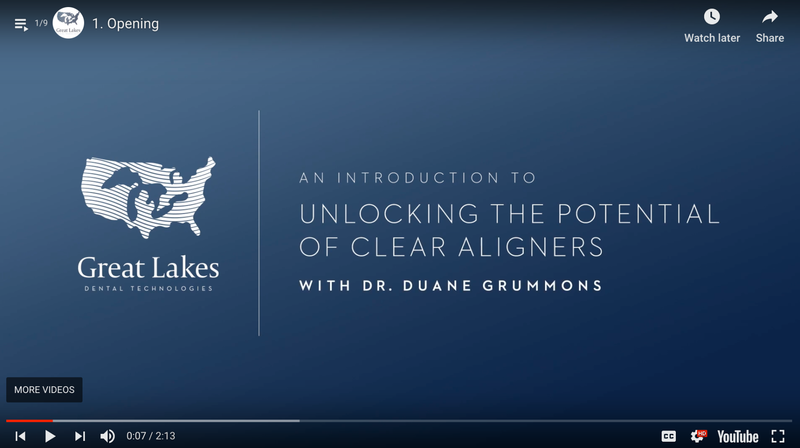 Using pre-aligner therapy in his own practice, Dr. Duane Grummons has seen a 90% conversion rate in youth, and 80% in adults. Pre-aligner appliances are designed to accomplish transverse width and arch length development, and create more space within the arch in preparation for smart moves® complete aligner therapy. Smooth and predictable case progress enhances your patients' experiences and success of their therapies. Facial harmony and a beautiful smile are optimized when the transverse maxillary occlusal plane, midline, chin location, and smile esthetics are emphasized. Fill out the form below and you will receive instant access to the 9-part video with Dr Grummons.